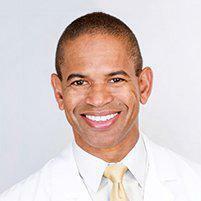 Testimonials & Reviews - Santa Monica, CA & Los Angeles, CA: Dennis R. Holmes, M.D., F.A.C.S. Dr. Dennis R. Holmes always appreciates feedback from his valued patients. To date, we’re thrilled to have collected 23 reviews with an average rating of 4.96 out of 5 stars. Please read what others are saying about Dr. Dennis Holmes below, and as always, we would love to collect your feedback. Dr. Holmes was highly recommended by my primary care physician. I received excellent care from him and his team. He explained everything thoroughly, answered questions and has is extremely professional in his manner. He is knowledgeable and he is recommended. Dr. Holmes is extremely professional and caring. He treats his patients with kindness. It's always a pleasure seeing him. Very friendly office staff. Dr Holmes was very gentle and caring. Listened to my questions and answered them honestly. I would recommend him highly.